Exercises which involvement pulling a weight or resistance help in building strength and power, especially in the case of bodybuilder’s. 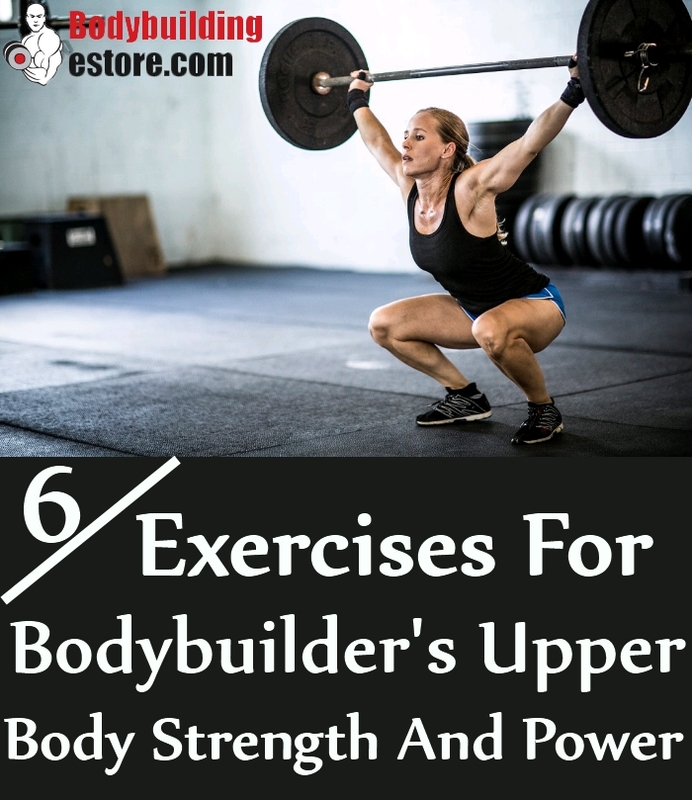 Those who are looking forward to building muscle mass, power and improved agility are also known to benefit a lot from these effective exercises. These exercises are easy and can be performed by beginners too. 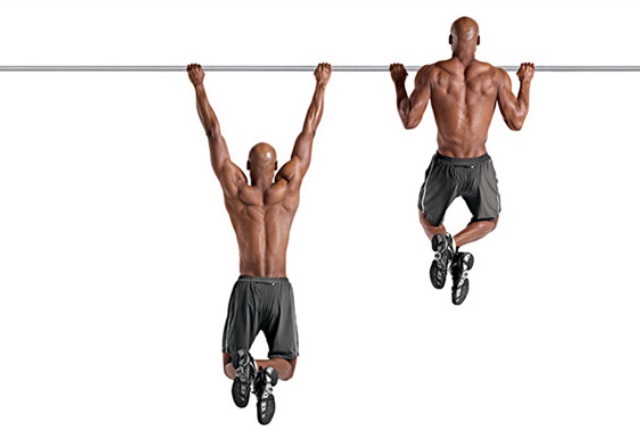 The movement is usually related to lifting the body up a bar and then again lowering the body back. Pulling exercises are often used in military training since they offer greater reward than any other workout. To do this workout, you need to stand in a comfortable position, as you keep your feet a little distance apart. Your knees should be a bit bent so that your body gets a good base and a nice balance. You need to hold a barbell as you keep the palm facing up. You need to completely extend the arms in this position. Now, slowly raise the barbell, so that the forearms are completely vertical. The bar shall be in the height of your shoulder. Your elbow shall be the only joint which is involved. Your forearms shall be moving as you do the workout. You need to do the workout in a slow movement. This is an easy workout and can be done by beginners too. You will hold a pull-up bar. You shall have a comfortable overhand grip. Your palms are facing a bit away and the hands shall be at least shoulder distance apart. You need to contract the upper back muscles. This will help in pulling your chest close to the bar. You will lower down and be under control. This workout helps in building strength and stability of your shoulders, chest and upper back muscles, which gives power and flexibility to the muscles. This exercise can be done with kettlebells or with dumbbells. 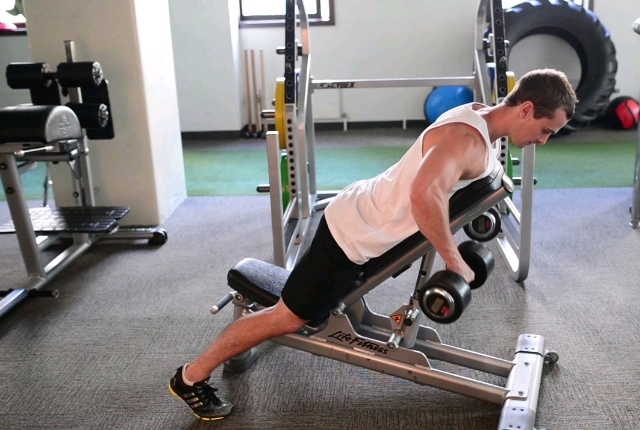 You will be using an incline bench for the purpose so that the movement gets quite challenging for the body. Your stomach and head will be on the bench. Your chest shall be sticking out as you keep the shoulders down and also back. Do not let your chest or shoulder move up from the bench or else it shall reduce the effectiveness of the workout. 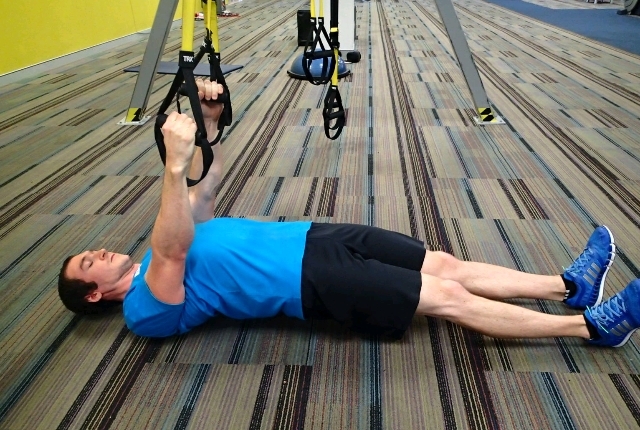 You can also add an isometric hold which will help in doing advanced rowing like movement. It shall also help in your shoulder positioning. You can do seven or eight repetitions to start with. You need to do this workout in a seated position. Your knees shall be firmly placed and with support. Now, you need to hold on the bar with your hands. Your hands shall be a little distance apart from one another. They should ideally be shoulder distance apart. Your palms shall face forward. You need to slowly retract the shoulder blades as you sit comfortably upright. Do not lean back as you start pulling the handle just in front of you. You need to keep pulling till it reaches a level up to the chin. You will feel a good stretch in your shoulder and back muscles. For this workout, you can use the long bars or the lat bars as per your convenience. You just need to attach it and get an overhand grip on the bar. This shall be a little distance apart your shoulder width. 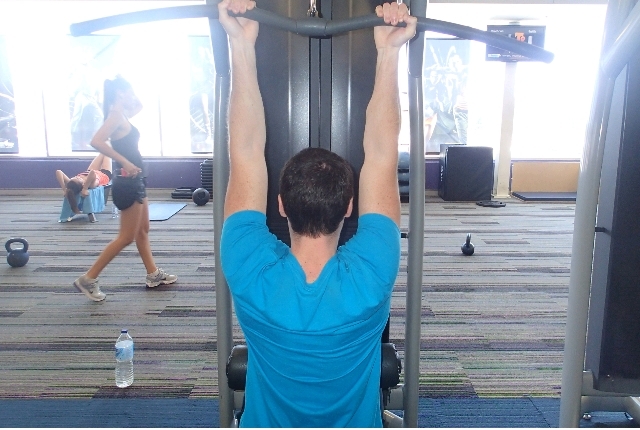 Many people find it comfortable to hold on the bar, from the position it slowly bends. Start to pull the bar close to you, as you keep your elbows in a higher position. You shouldn’t pull this bar close towards the abdomen, as you normally do in the common neutral grip row position. You need to slowly pull this bar close to the upper abs or your sternum, as you try to hold on the bar close to the torso. You can slowly pull the elbows a little behind your body. This will help in better contraction and an improved workout. You need to set a smith machine with a bar. This should be a little higher than the waist. You need to crawl just under the bar. Hold the bar with the hands, as you keep it shoulder distance apart. Your body shall be straight and your legs too. Now, you will slowly squeeze the shoulder blades back and again down. In this process you shall push the chest close to the bar. Your shoulders shall be pulled down in this position. Repeat at least 8-10 times as you start.